Racing Wisely helps you think through every aspect of race day, from choosing the right goal race to packing to pacing and strategy. These questionnaires, worksheets, and checklists are explained in full detail in the book. Here are PDF versions for reference, as well as Word versions for you to customize and use to reach your personal best. Click on the file title to download. If you are running with music, please be attentive to the course. You can add these 15- to 30-second form cue snippets to your playlist. This YouTube playlist contains videos to help you with race visualization. You’ve trained for your peak race for months. When the big day comes, how will you perform? All the training in the world is useless if you can’t execute your race plan and cope with unforeseen events, and subpar training can be overcome if you approach race day with the right attitude. 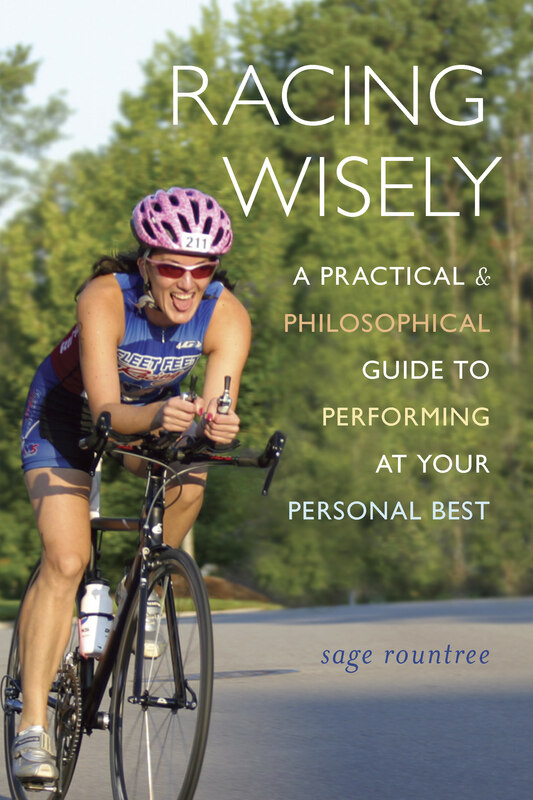 Coach Sage Rountree provides concrete tips and pacing tools for athletes racing endurance events including open-water races, bike races, track, road, and trail running, multisport races, and adventure races. Learn to plan and execute perfect pacing as you race to your personal best, and gain tools to make the best of whatever situation emerges on race day.